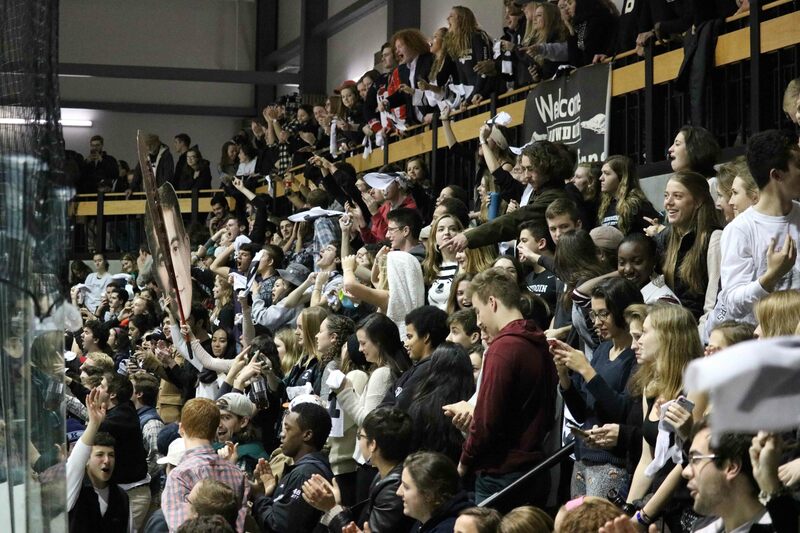 ALL RILED UP: Students cheer on the Polar Bears at last year’s Bowdoin-Colby hockey game, which Bowdoin lost 2-1. 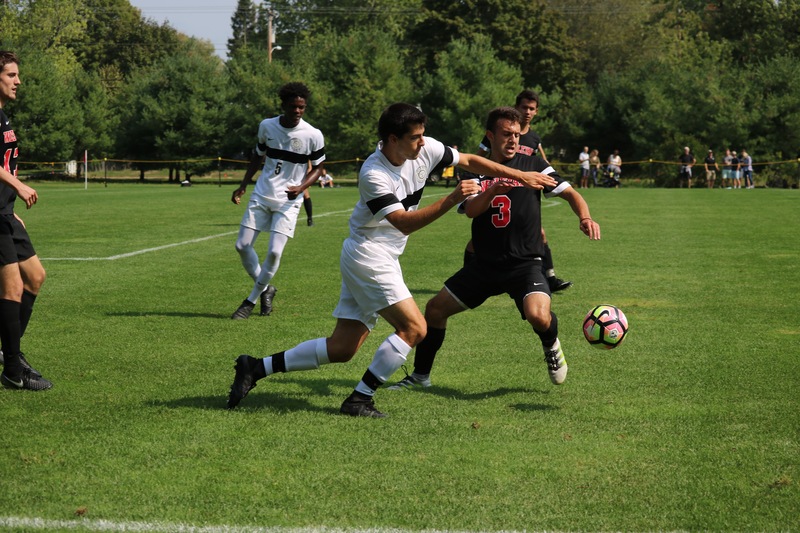 Luke Lockwood '20 faces off against a Wesleyan opponent on Sept. 16. 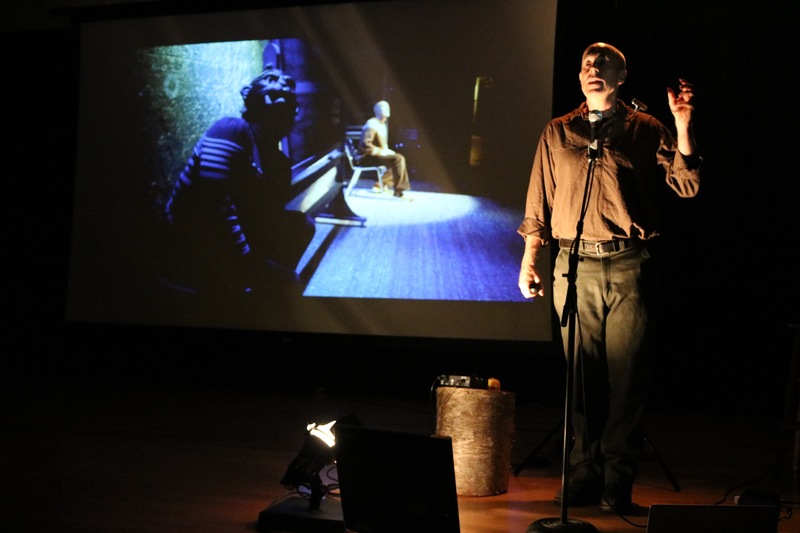 A LIFE-LONG PROJECT: Deke Weaver ’85 shared four performances from his series, “The Unreliable Bestiary,” in Kresge Auditorium on Monday. 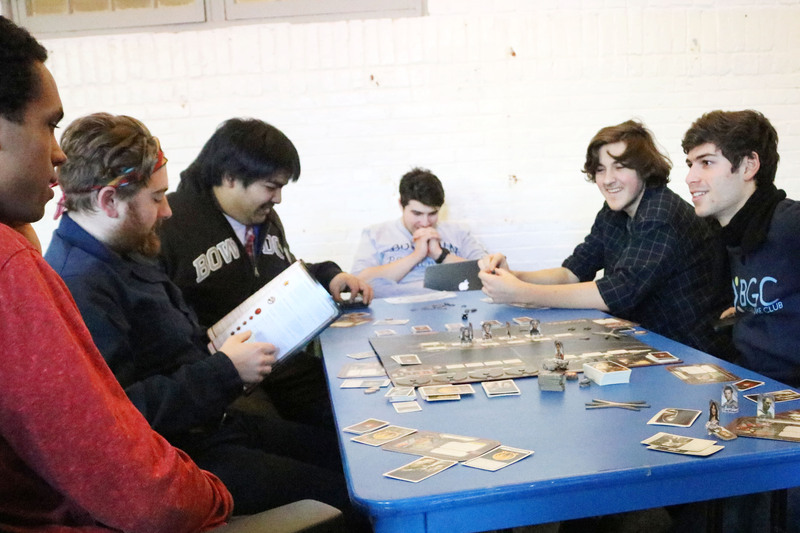 BEARS, BEETS, BATTLESTAR GALACTICA (Left to right) Board Game Club members Danny Banks ’19, Braedon Kohler ’18, Diego Guerrero ’18, Cole Hamel ’18, Spencer Towle ’19 and Alex Truitt ’19 gather to play Battlestar Galactica in the Sail Room in David Saul Smith Union.